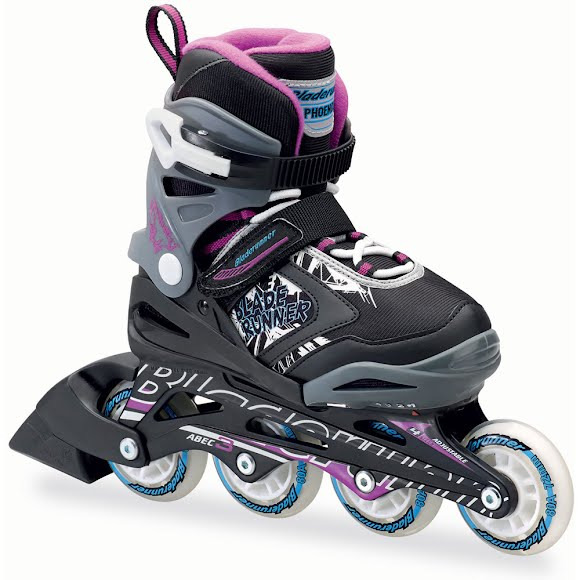 Adjustable kids skate that expands four full sizes so they can grow with the child's feet. 72mm wheels with ABEC 3 bearings provide a smooth roll, the buckle, powerstrap and lace closure ensure a secure fit while the lightweight, supportive and comfortable boot round out the premium performance for its budget price. Adjustable kids skate that expands four full sizes so they can grow with the child&apos;s feet. 72mm wheels with ABEC 3 bearings provide a smooth roll, the buckle, powerstrap and lace closure ensure a secure fit while the lightweight, supportive and comfortable boot round out the premium performance for its budget price.